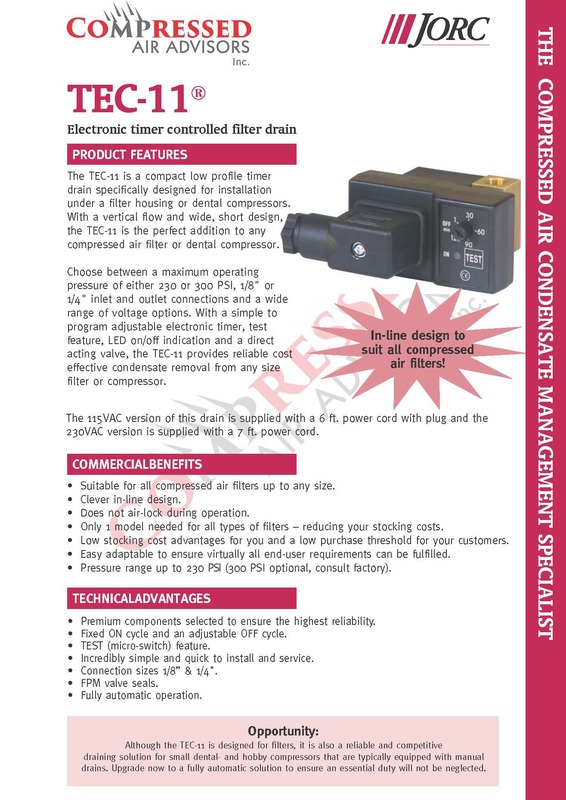 The TEC-11 is a compact low profile timer drain specifically designed for installation under a filter housing or dental compressors. 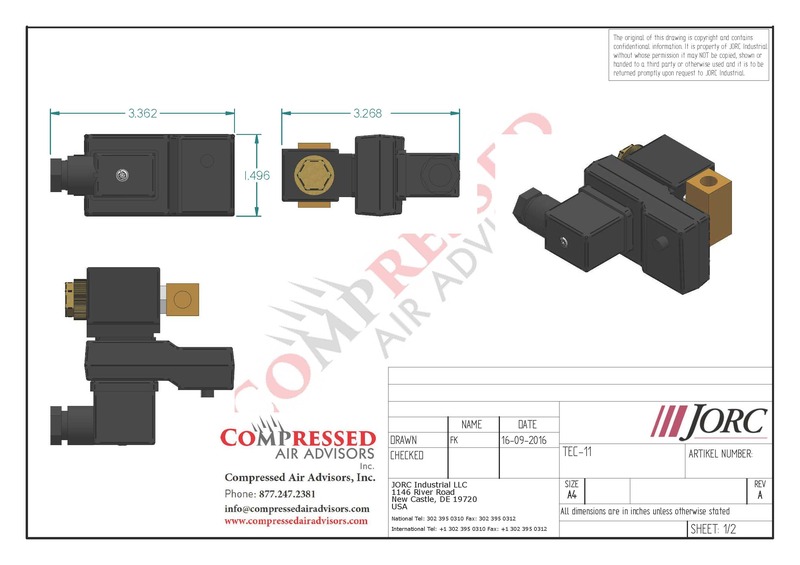 With a vertical flow and wide, short design, the TEC-11 is the perfect addition to any compressed air filter or dental compressor. Choose between a maximum operating pressure of either 230 or 300 PSI, 1/8" or 1/4" inlet and outlet connections and a wide range of voltage options. 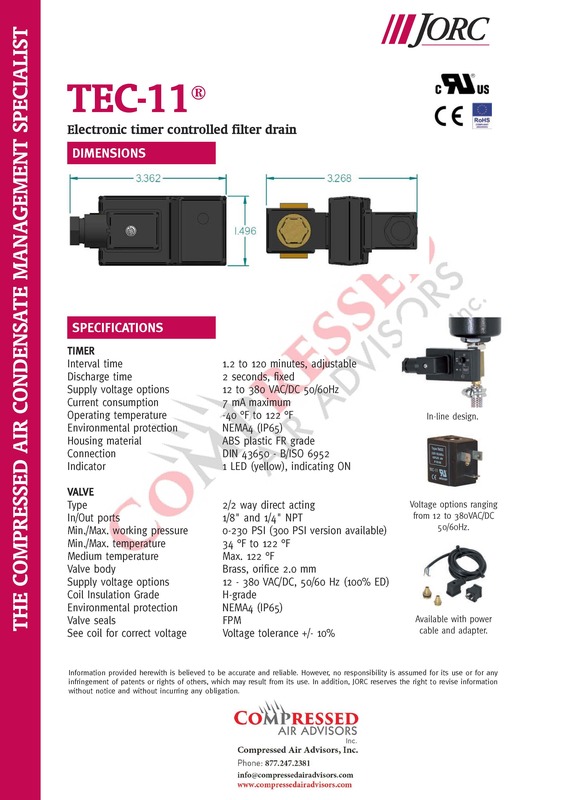 With a simple to program adjustable electronic timer, test feature, LED on/off indication and a direct acting valve, the TEC-11 provides reliable cost effective condensate removal from any size filter or compressor. The 115VAC version of this drain is supplied with a 6 ft. power cord with plug and the 230VAC version is supplied with a 7 ft. power cord.